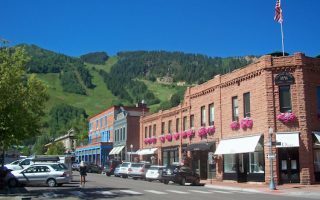 A former mining camp settled on the Rocky Mountains’ Roaring Fork River, the tony town of Aspen is a recreational mecca. 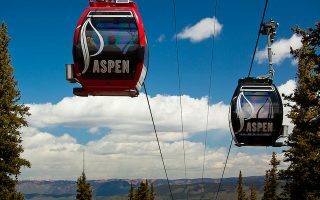 Popular in winter for its four ski areas — Aspen Mountain, Aspen Highlands, Aspen Snowmass, and Buttermilk — in summer the area boasts vibrant culture and summer recreation opportunities. 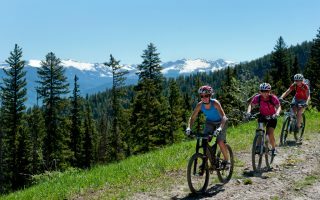 Take advantage of the extensive network of bike paths and mountain trails for running in Aspen. 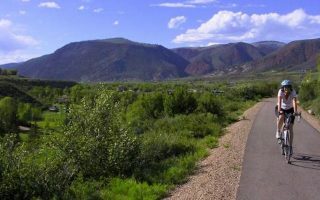 The best road running options in Aspen are the Rio Grande Trail, the East of Aspen Trail along the Roaring Fork River, and the path along Owl Creek Rd. between Snowmass Village and Aspen Mountain. Or, take a loop around the Victorian-era buildings of town. We’ve also put together a few great options for trail running, including on Aspen and Snowmass mountains, and some other more ‘runnable’ trails in the area. There are also great choices for those wanting a real challenge and some elevation. This map is an excellent resource. 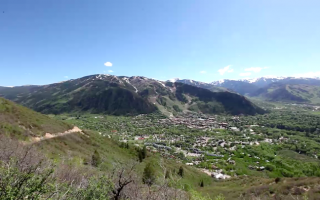 Aspen’s bike paths double as an easy way to travel around town. For faster transportation, use the Roaring Fork Transit Authority busses, or the free Downtowner shuttle which runs around central Aspen and Aspen Mountain. Most of our routes are easily accessible right from town, so you’ll have the awesome option of exploring much of Aspen on foot. 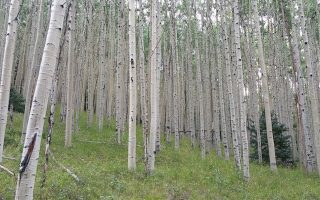 Note that Aspen sits at 8,000 feet, so altitude is a serious factor. 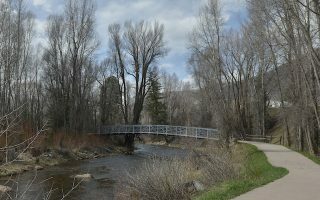 This 42-mile multi-use path spans from Herron Park in Aspen northwest to Two Rivers Park in Glenwoods Springs. 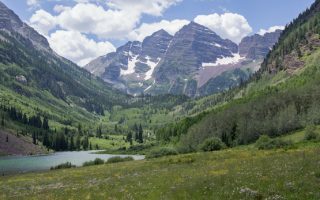 A favorite section in Aspen is 8.4 miles from Woody Creek to Herron Park, which has views of Aspen Mountain and the Roaring Fork River. 7-mile out and back on a popular multi-use trail along the Roaring Fork River. Highlights include wildlife viewing at the North Star Nature Preserve. One of the flatter running opportunities in Aspen. Combination paved and gravel. Nearly 6 miles of uninterrupted pavement running through scenic farmland, Snowmass Village to Aspen Mountain/Buttermilk. One of the better non trail running options in the area. 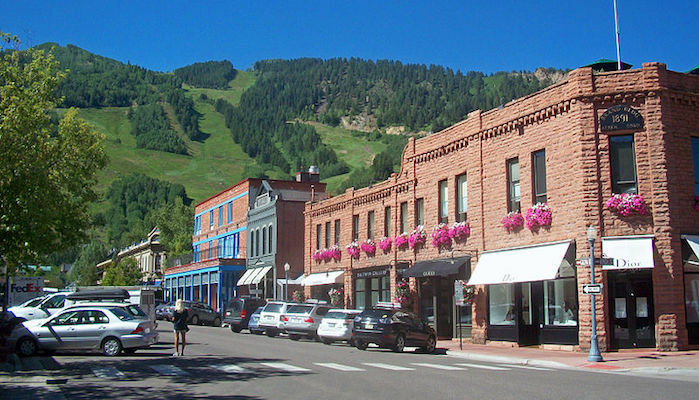 The historic village of Aspen makes for a scenic and interesting run. We suggest creating your own route, incorporating galleries and shops along roads lined with Victorian era buildings, and pretty residential side streets. 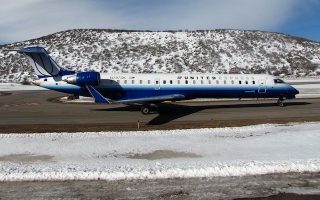 A 5 mile out and back on a concrete path, starting at the Airport/Aspen Business Center. Loop with other multi use paths for more mileage. Steep Aspen Mountain offers wonderful trail running opportunities. On the lower mountain, the 2-mile out and back Ajax Trail is a good intermediate option. Or, take the gondola to the summit and run the 2.4 mile East Rim/Cherry Hill Loop. 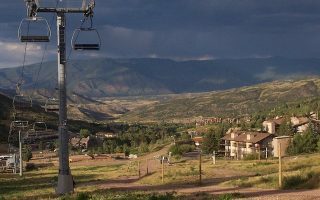 Snowmass Mountain offers a good variety of trail running options, from 'family friendly' to steep and challenging. The trails are divided into the Bike Park and Elk Camp sections. Some trails are lift service access. Good map w/trail descriptions. This dirt Forest Service road stretches 6.3 miles out to the Warren Lakes. For a shorter run, do a 2.9 out and back to the Smuggler Mountain Overlook. A long, steady climb with great views of the Maroon Bells. It's 9.3 miles between the roundabout in Aspen and Maroon Lake. Shuttle buses allow for shorter options. Road closed to cars during the day in summer! A more challenging trail run, spanning across Red Mountain. As much as 10 miles out and back, although a good 6-mile out and back option is possible. Highlight is the section through aspen groves -- especially pretty in autumn! The tough and hilly 7-mile Hunter Creek Trail is a popular running route for its proximity to town and fantastic views of the Elk Mountain Range. The first 3 miles are especially popular for jogging -- but still challenging! 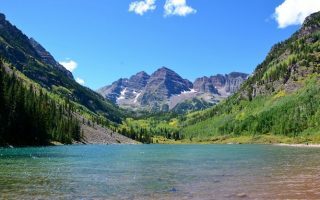 This rocky 1.8 mile trail winds through aspen fields and rock gardens before descending to Crater Lake and a beautiful vista of the Maroon Bells. Beautiful, but runners should note the rocky footing. Aspen weather is great for running in the spring, summer, and fall. Summer highs average near 80F (26C), and nights can be cool, generally in the high 40s and low 50s. A layer is needed at any time of year. Although summer is the driest season, mountain weather is changeable and there can be storms. For lodging information, visit the Aspen Chamber of Commerce website at aspenchamber.org/where-to-stay. Sporty Aspen has a variety of outdoor gear shops. Ute Mountaineer Was super helpful with this running guide! Independence Run & Hike. Group Runs: Saturday 8am in summer and 8:30 am in winter from the store. For a list of running groups, check out this list from Aspen Trail Finder. Group Runs: Saturday 8am in summer and 8:30 am in winter from the Independence Run & Hike store in Carbondale. Aspen Trail Finder also has a great up to date Race Calendar. Aspen Valley Marathon. July. 1400 feet downhill! Also a 5k. Boogie’s Buddy Race. 5 mile race. Golden Leaf Half Marathon. Wonderful autumn race. Trail run in parts. September. The Mount Sopris Run off & 4 Mile Fair Run. Last Saturday in July. Carbondale area. Jingle Bell 5k. Last Sunday before Christmas.